Lenders must provide borrowers with a Closing Disclosure, or CD, at least three days before settlement. This form is a statement of your final loan terms and closing costs. You have three days to review the CD. Compare it to the Loan Estimate (LE) you received shortly after you applied for the loan. Most real estate sale contracts allow the buyer to walk through the home within 24 hours of settlement to check the property’s condition. During this final inspection, which usually takes about an hour, you and your REALTOR® will make sure any repair work that the seller agreed to make has been completed. If anything is amiss, your REALTOR® will contact the listing agent and, in most cases, negotiate to get the seller to compensate you at closing — typically in the form of a personal check — for the costs of fixing the problems yourself. Worst-case scenario: You have to delay closing to resolve problems. In the unlikely event that happens, your REALTOR® will help you address the issue. The closing usually takes place at the attorney’s office. FYI: Some states, like California, don’t require an in-person, sit-down closing because they’ve enacted legislation that allows for electronic closings with remote notaries. This is the case in North Carolina, with a majority of the paperwork done through programs such as DocuSign or DotLoop. Closing costs can vary widely by location and your home’s purchase price. Costs are split between you and the seller, but as the buyer you’ll cover the lion’s share. You can generally expect your closing costs to be 3% to 4% of the home’s sales price. So, on a $300,000 home, you can pay anywhere from $9,000 to $12,000 in closing costs. (Meanwhile, the seller typically pays closing costs of 1% to 3% of the sales price). 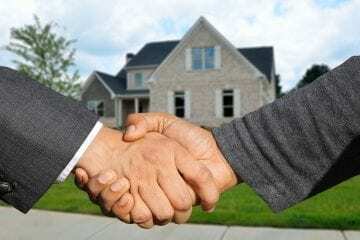 Talk with your mortgage lender to get a better idea of what to expect. Unlike most insurance policies, such as homeowner’s insurance, car insurance, and life insurance, title insurance is paid as a one-time fee at closing. The average cost of title insurance vary by state, however, costs can vary significantly depending on the home you’re buying, where it’s located, and how much legwork the title company has to perform. For your loan to be approved, it has to go through underwriting. The underwriter’s job is to validate all of your financials — confirming that your income, credit, and debt haven’t changed since you were pre-approved for the loan — as well as to review the property’s characteristics and appraisal. If everything checks out, your mortgage will be approved. Now it’s time to start investing in other relationships. Like with your new neighbors. Article provided by Houselogic.com and edited by OBAR for local accuracy. This is the final article in a multi-part series brought to you by the Outer Banks Association of REALTORS®, designed to help educate and reduce stress in the homebuying process. The event raised over $4,300 in raffle money that is being distributed to the food pantries. On the night of the tourney, Beach Food Pantry reported collecting an astounding 291 pounds of food. Younger customers frequently look to parents or grandparents to help them get into a first home. As rising home prices and interest rates present even greater challenges for first-time buyers these days, you may encounter more situations involving co-signed mortgage loans. While it’s not your role as a REALTOR® to provide financial advice to your customers or their relatives, it’s wise to be prepared with information if you are asked. After you sign a home purchase agreement and before your lender approves your loan, the home you’re buying must pass an appraisal — an assessment of the property’s value by an unbiased third party: the appraiser.